1). Include the names, date and location. 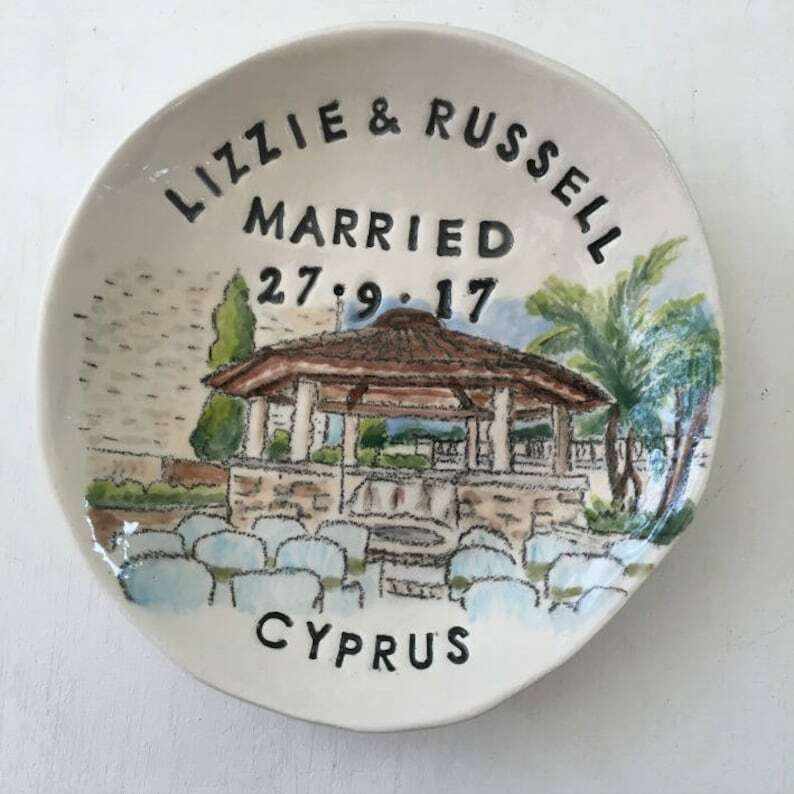 Personalized wedding gift ring holder, engagement gift for couple, just married ring dish; personalized portrait keepsake handmade from soft clay with hand drawn and painted image, stamped with names, date and location. Please note that I do not paint portraits of people. 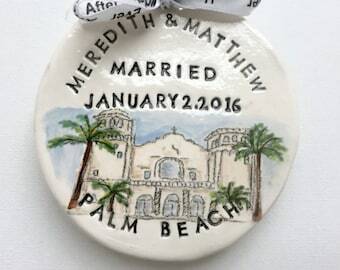 1) Please include the names, wedding date and location in the notes to seller section when making your purchase. 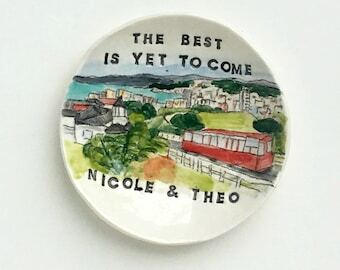 OUR TIME FRAME TO CREATE THESE KEEPSAKES IS ABOUT 2-3 WEEKS. Awesome awesome awesome item! Absolutely loved it. Totally exceeded my expectations. The item depicted the images that I sent over exactly. Thank you! 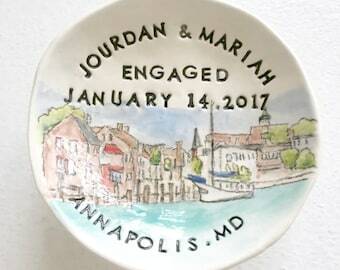 I ordered this as an engagement gift and it looks amazing!! I am so impressed with the quality and how much the painting looks like the pictures I sent. I will definitely order from this seller again. Thanks so much! 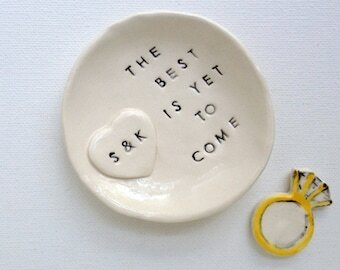 Handmade to order from soft clay, stamped with the couples names, date and location then kiln fired to a bisque state. Afterwards I sketch the custom portrait in pencil then outline the drawing with black glaze. 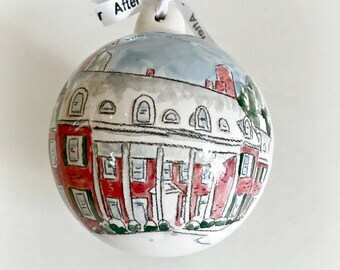 The design is hand painted with non-toxic, lead-free pottery glaze colors, signed on the back then fired once again to a beautiful, long lasting gloss finish. 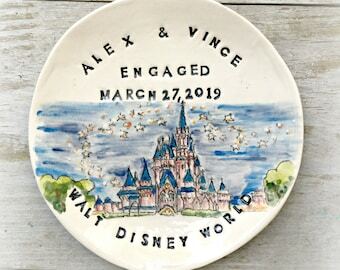 Tied off with a "Happily ever after" ribbon. Gift packaged and carefully shipped to ensure a successful journey from my studio. If being shipped directly to the couple let me know if you'd like a personalized note included with the package. Absolutely beautiful! Awesome communication, and very carefully packaged. Thank you so much!